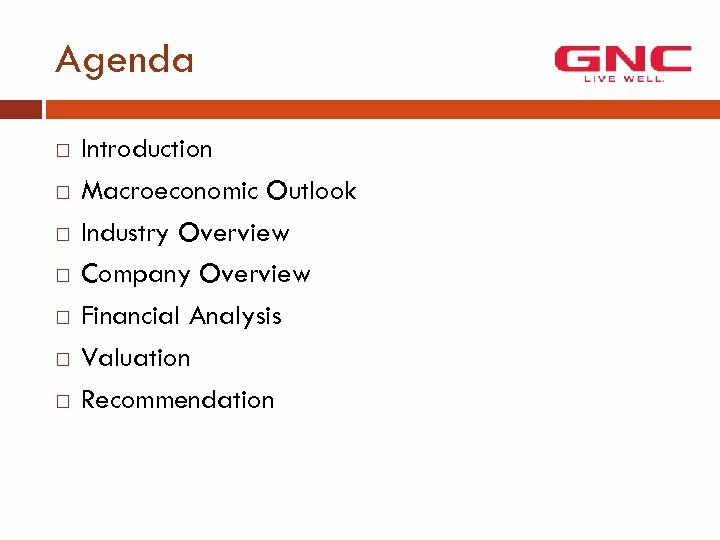 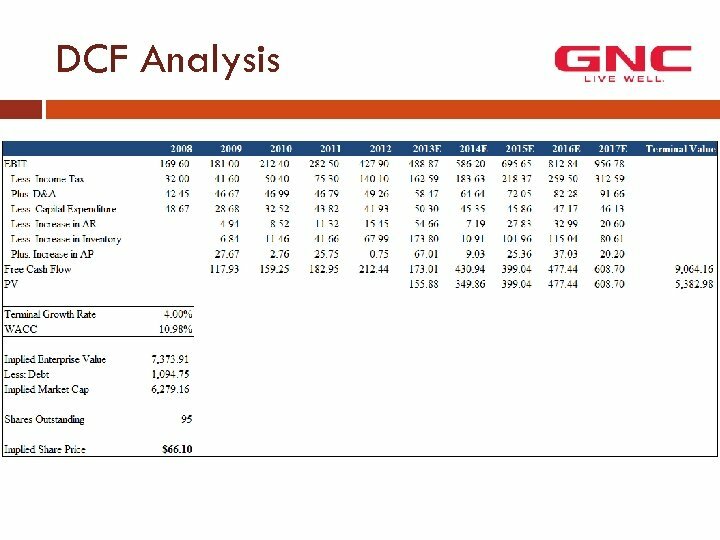 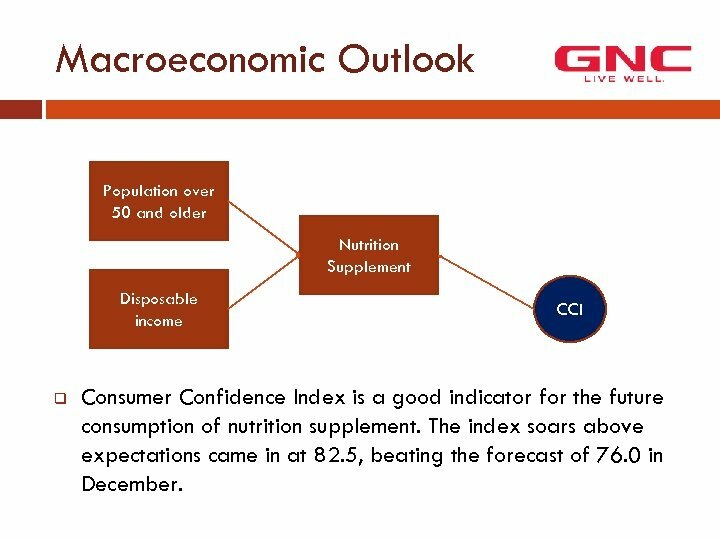 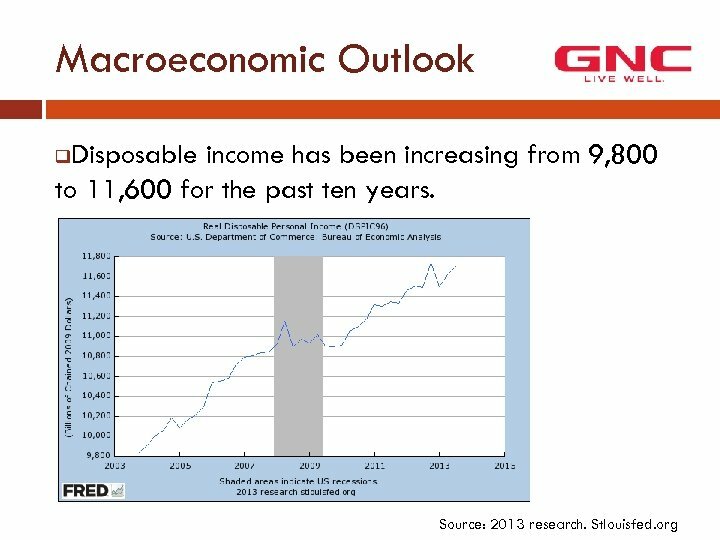 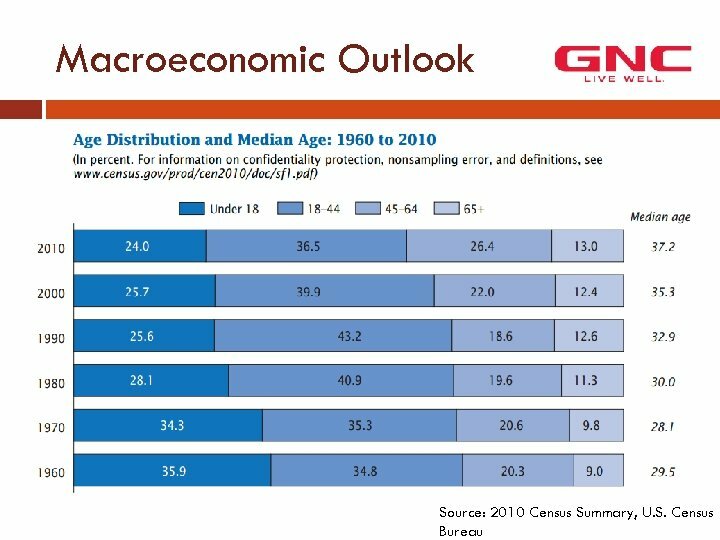 Macroeconomic Outlook Population over 50 and older Nutrition Supplement Disposable income q CCI Consumer Confidence Index is a good indicator for the future consumption of nutrition supplement. 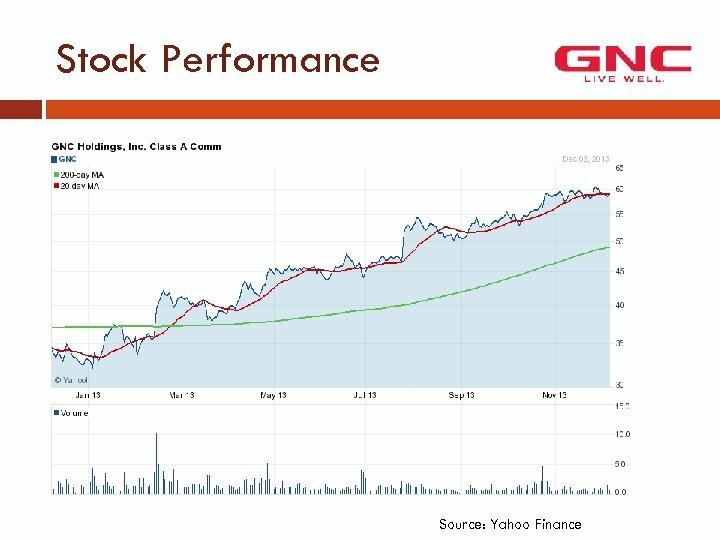 The index soars above expectations came in at 82. 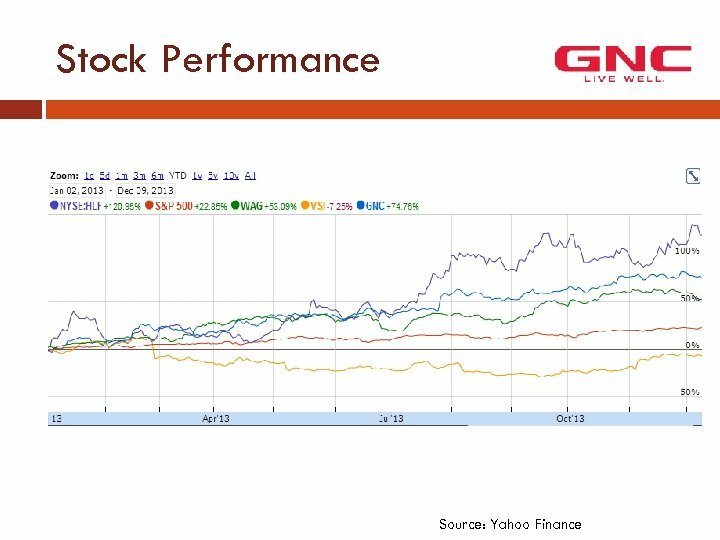 5, beating the forecast of 76. 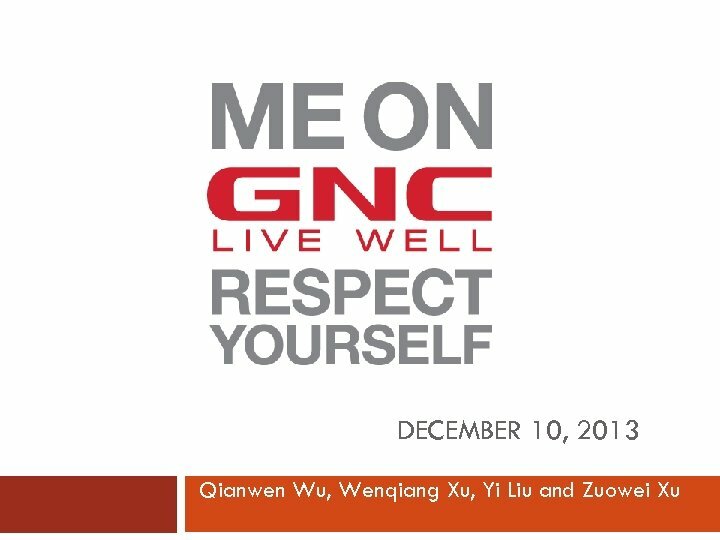 0 in December. 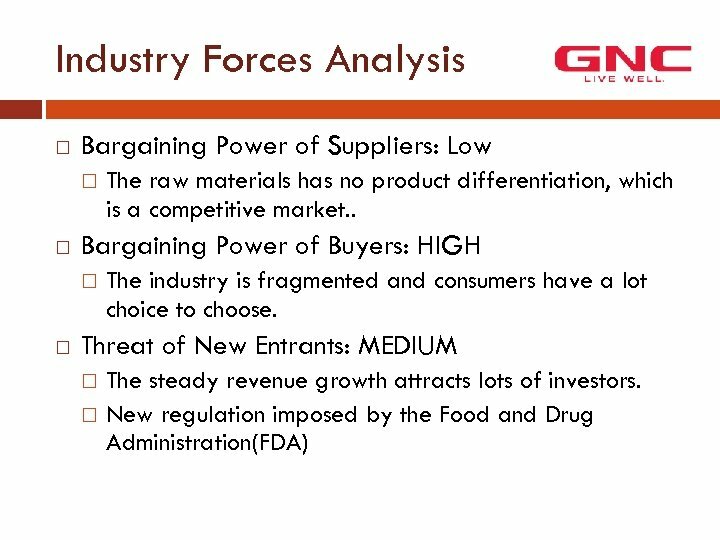 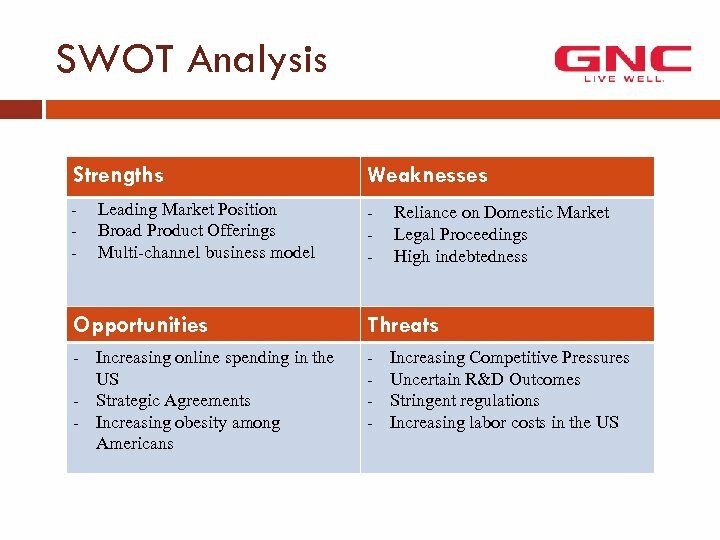 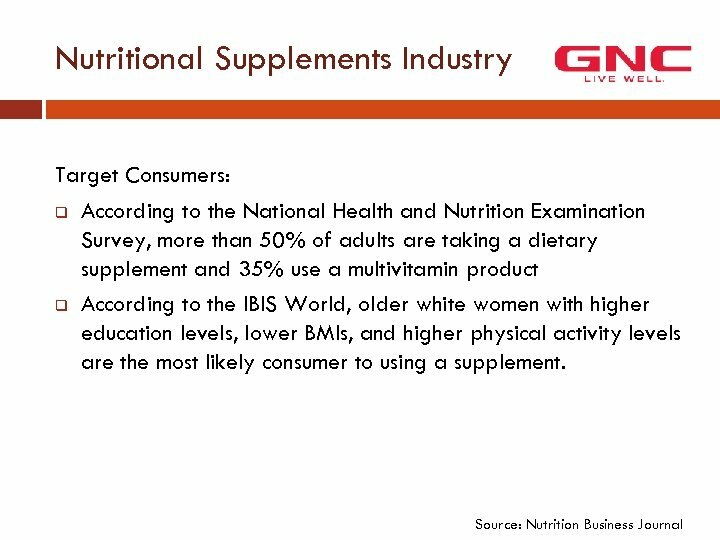 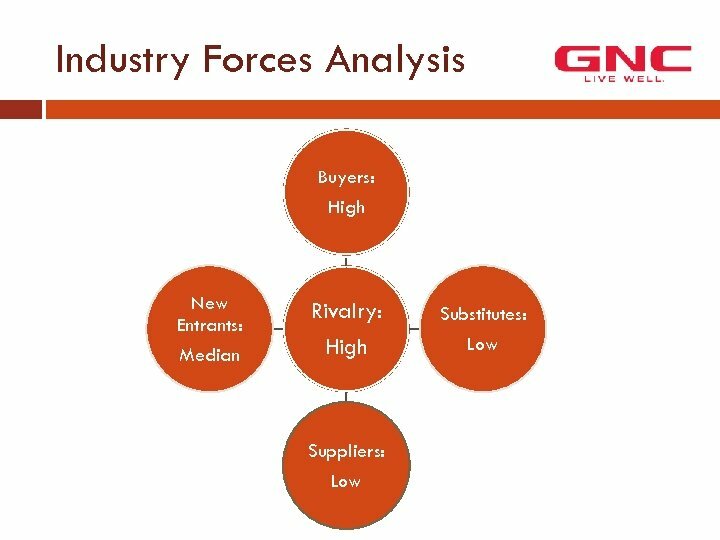 Industry Forces Analysis Threat of Substitutes: Low The consumers rely heavily on the nutrition products regularly to keep fit. 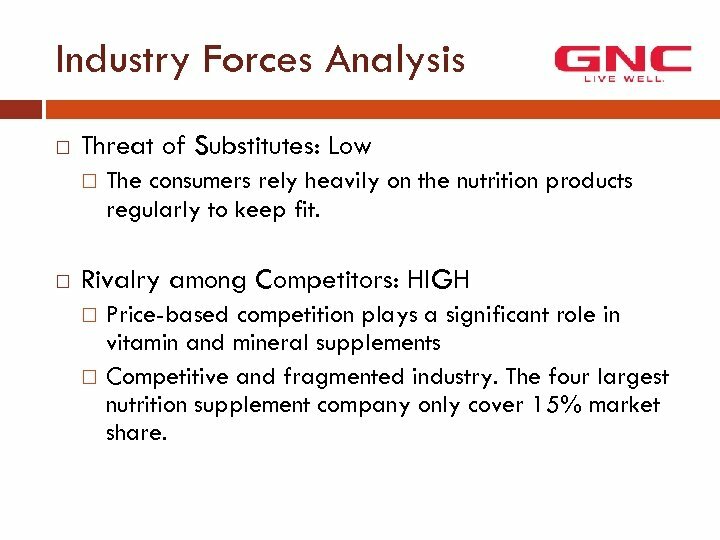 Rivalry among Competitors: HIGH Price-based competition plays a significant role in vitamin and mineral supplements Competitive and fragmented industry. 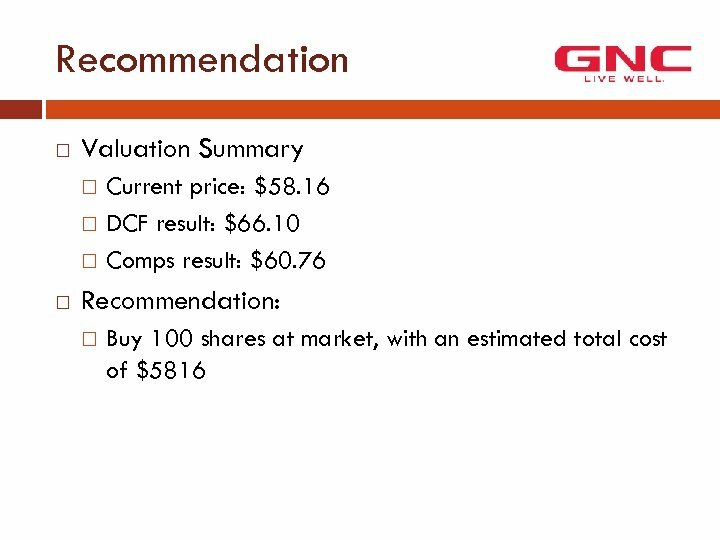 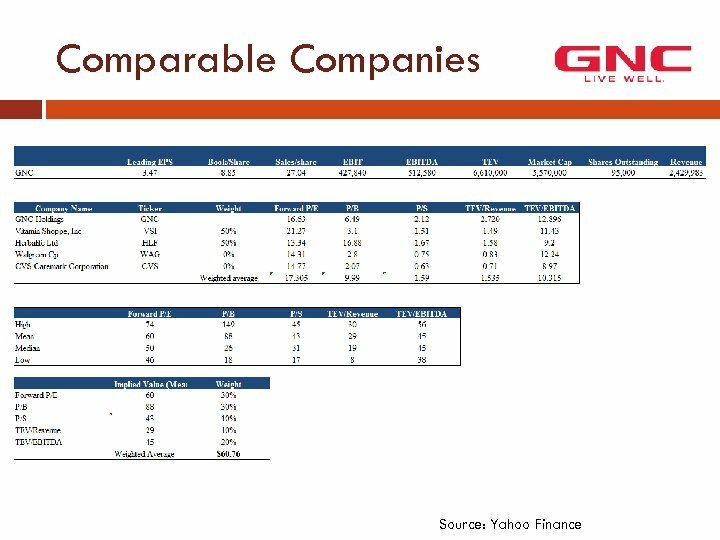 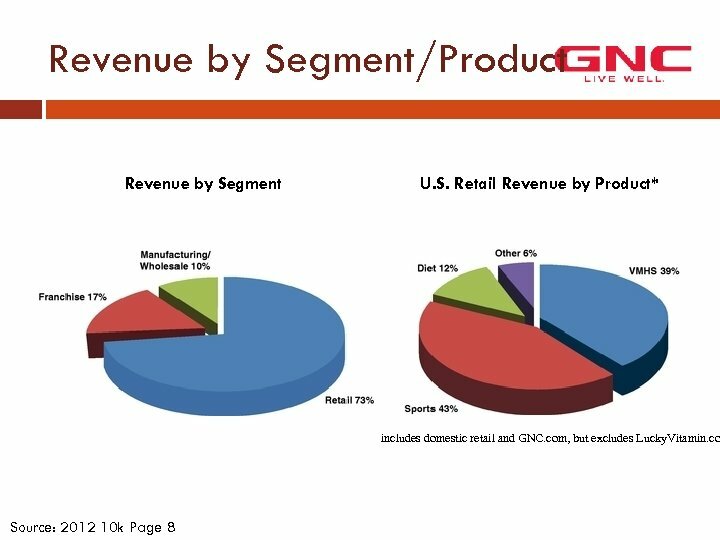 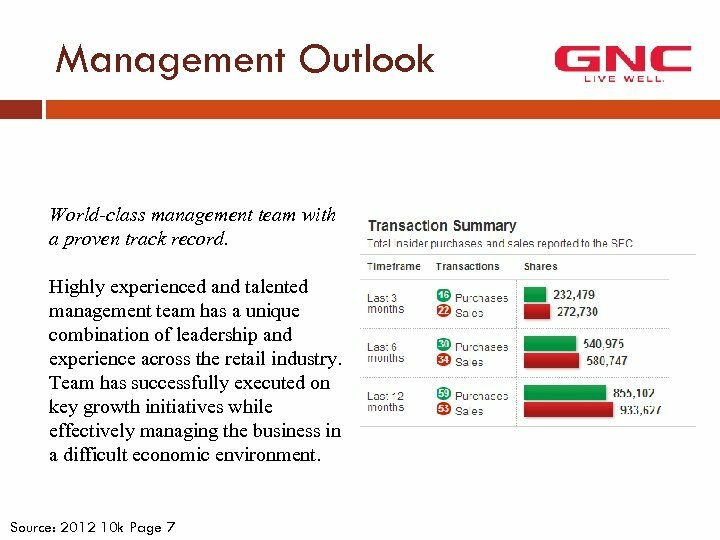 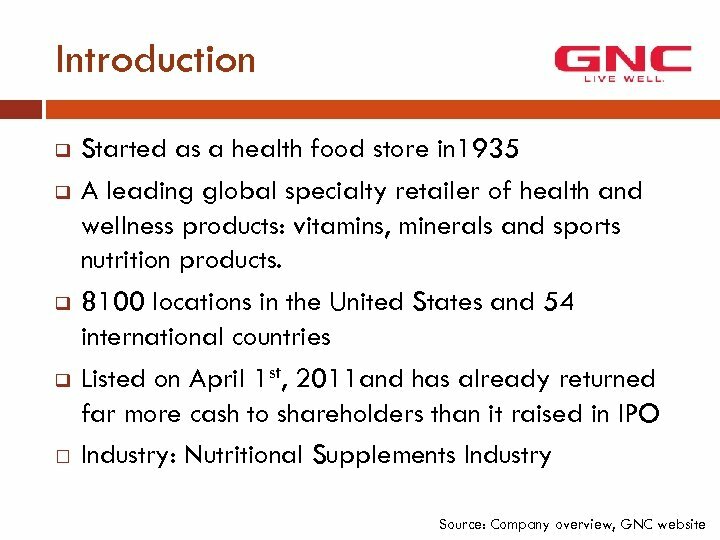 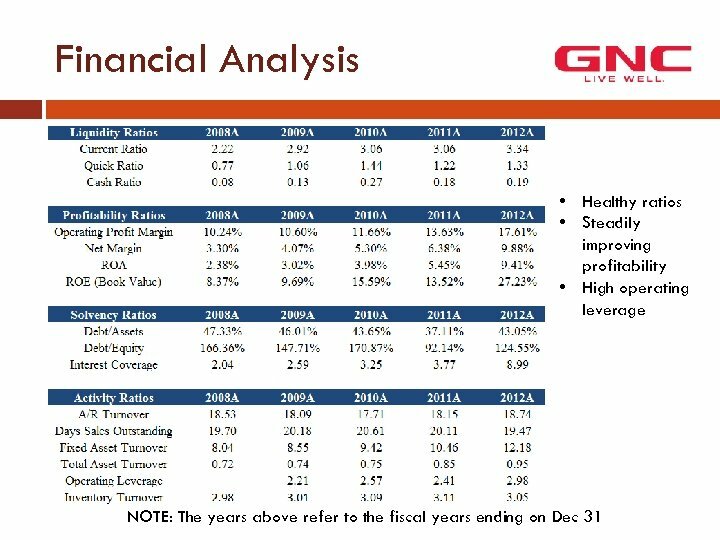 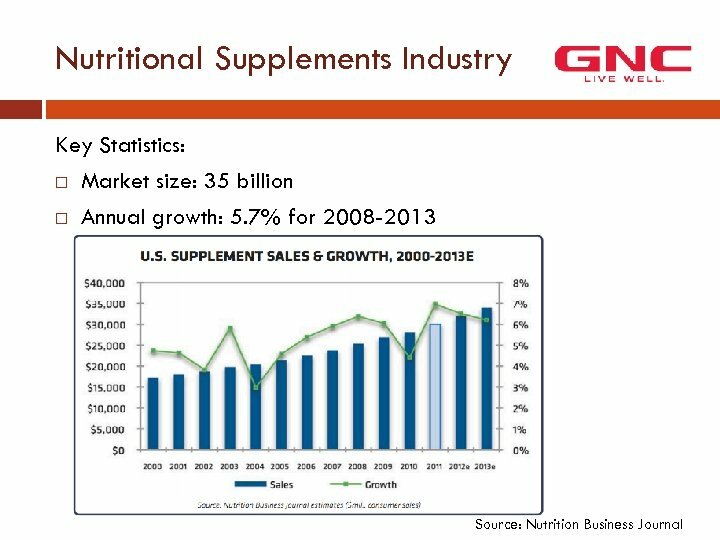 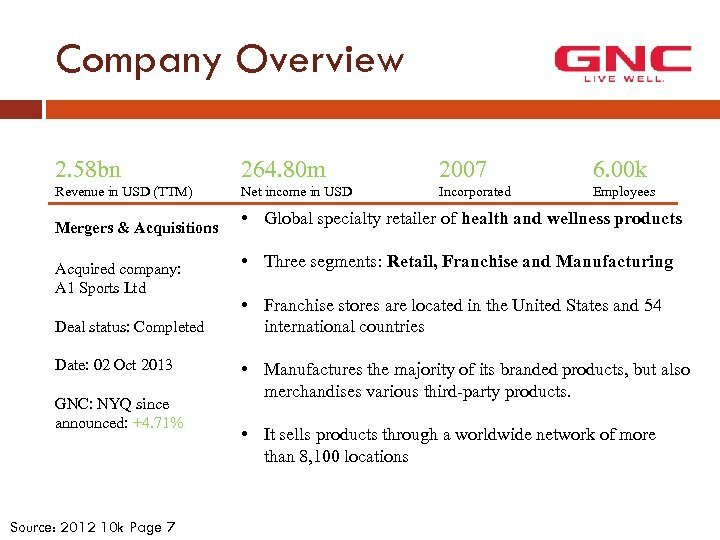 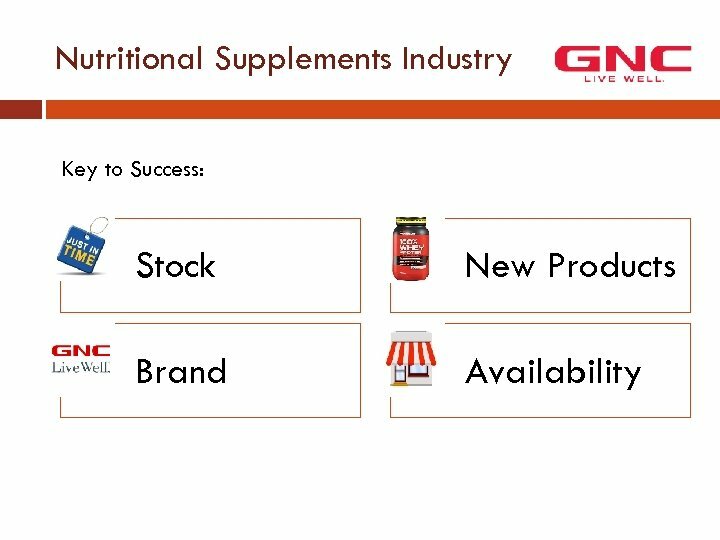 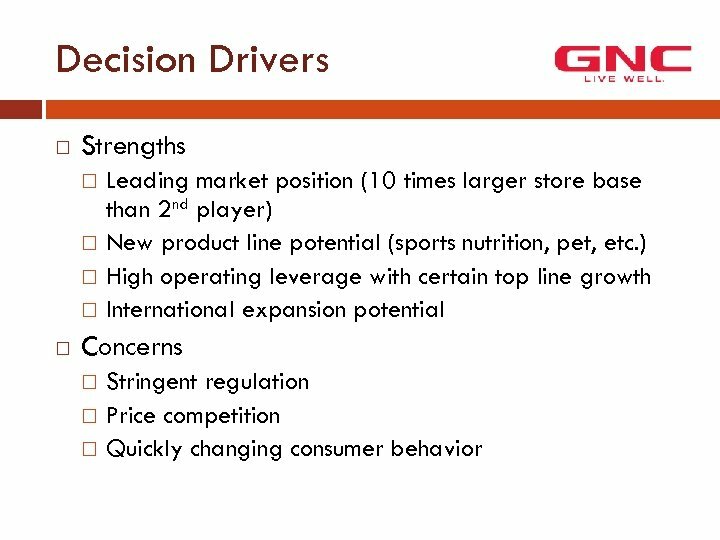 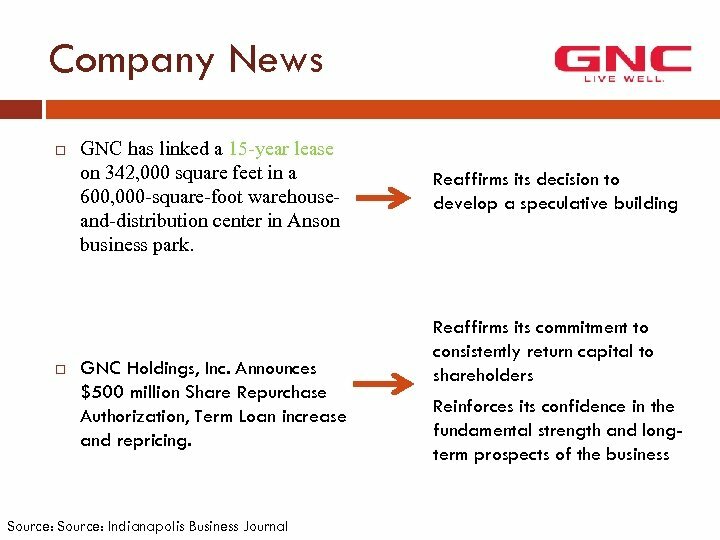 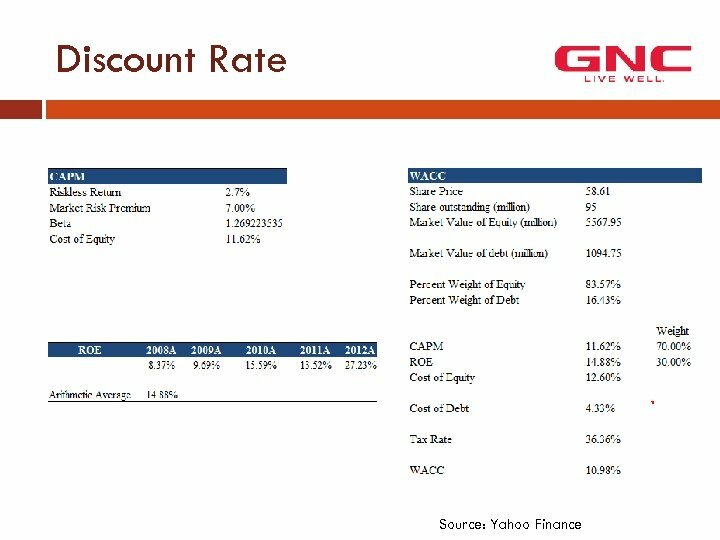 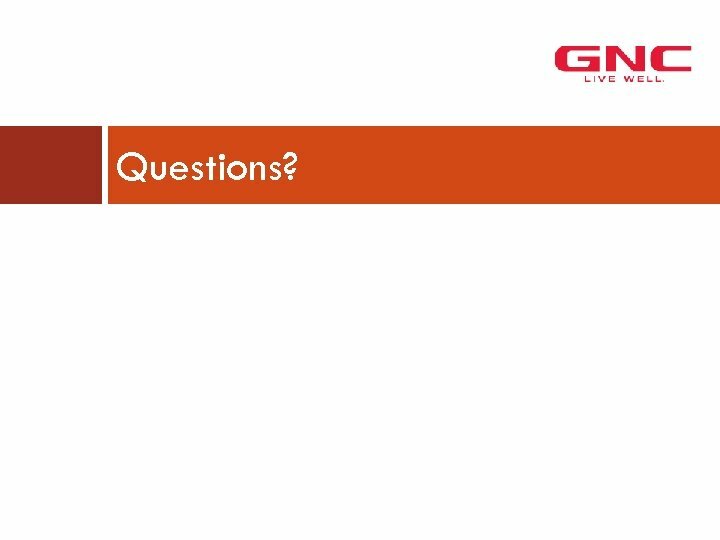 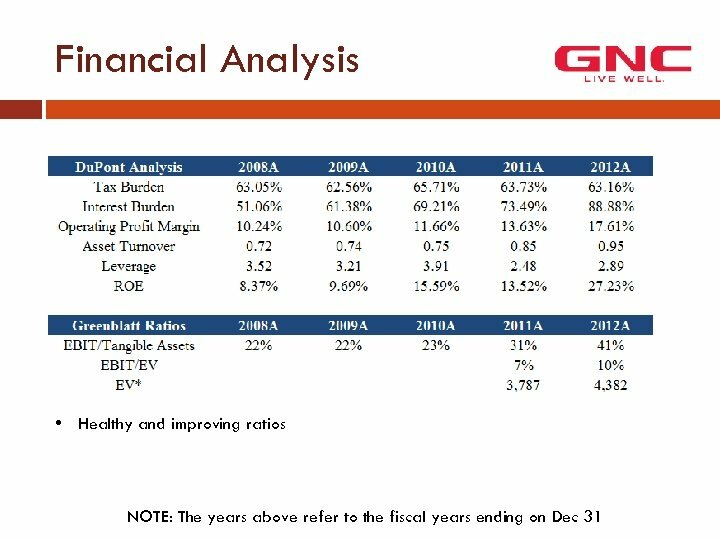 The four largest nutrition supplement company only cover 15% market share.